Home»February? Where Did Summer Go? February? Where Did Summer Go? Well, what an odd month we have had. The odd 40C day, all mixed up with chilly days with rain! 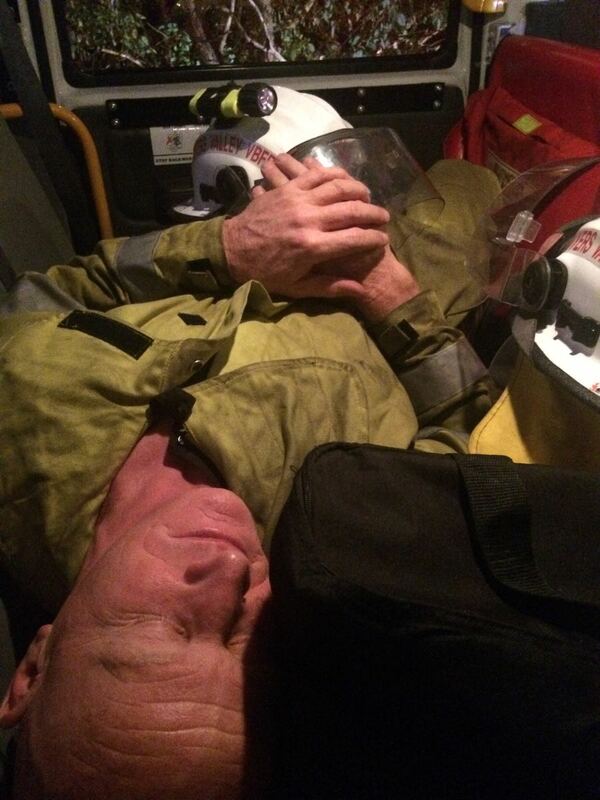 Through it all, the Brigade has kept right on training and being ready to turn out at a moment's notice, day or night. 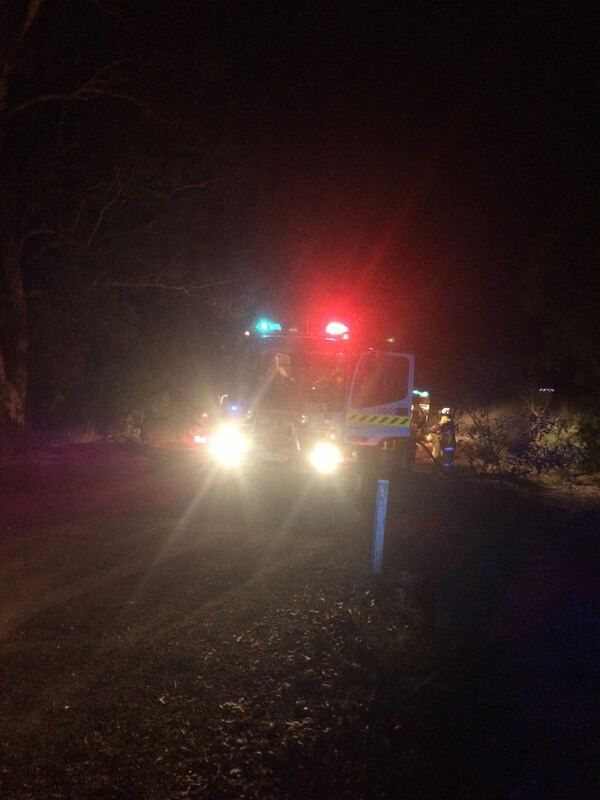 We have attended a few fires this month, including a late night call to a bushfire on Gorrie Rd. There wasn't room for the bigger appliances to get to the fire, so the Sawyers 1.4 crew got to have a bit of down time waiting to see if they would be useful later. Gogs and Paul in the 1.4. Paul trying for some beauty sleep. This month, we got the good old Austin fixed up and running again! 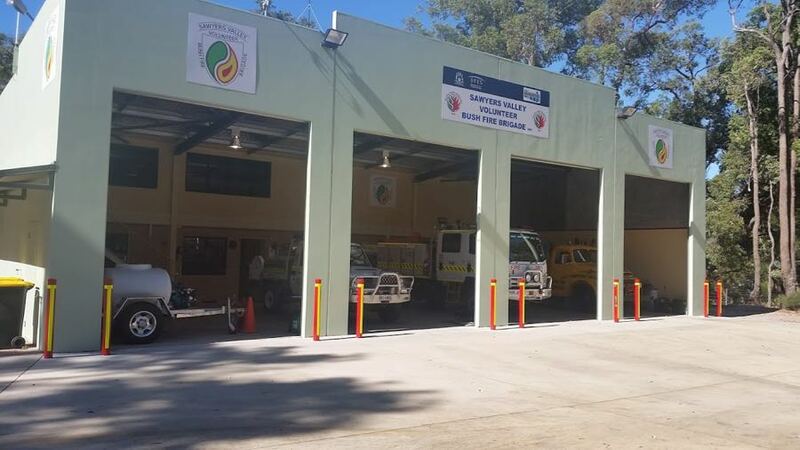 While we had her on the move, we had a huge clean-up of the station and moved our vehicles around in the bays. Now we have an empty bay at one end where we can use the whiteboard for training and drink cuppas at the same time! We attended the first ever Mundaring Twilight Markets. 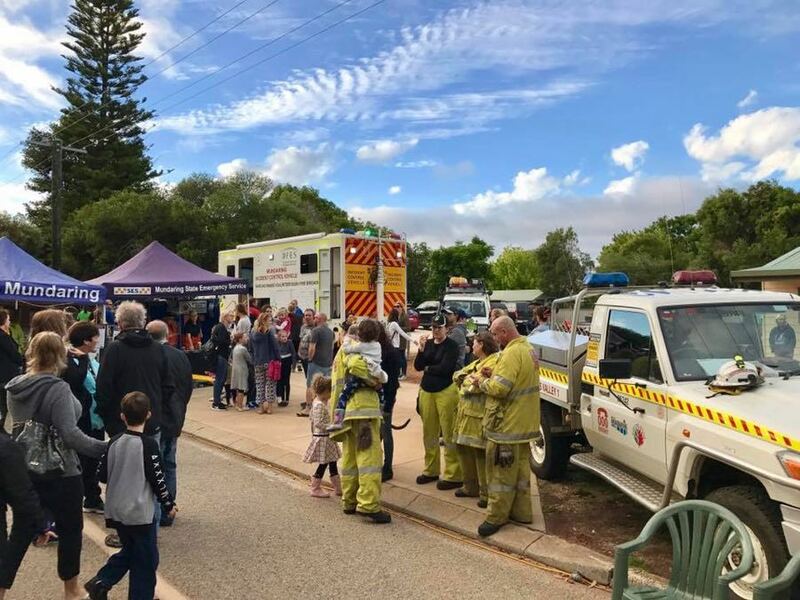 Many Brigades were there and we had as much fun talking to Fireys from other Brigades as we did chatting to the locals. Check out that beautiful sky! 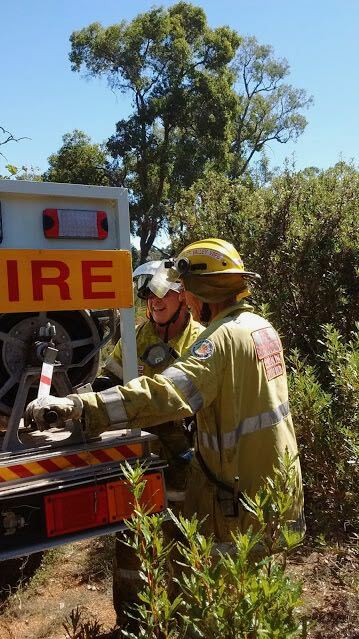 Many thanks to our mates at Mundaring VFRS for this photo. We were lucky enough that night to have Ben the BFG (Big Friendly Giant) and his daughter, Ziana, agree to join up, and we just want to say a big hello and thank you to you both! You are a lovely family and we look forward to having you as part of our team, and we know your community will be very proud of you too. We'll get a photo of Ben when we can find PPE giant enough to fit him, but here is Ziana looking a bit swamped by hers. We have the opposite problem with fitting her! 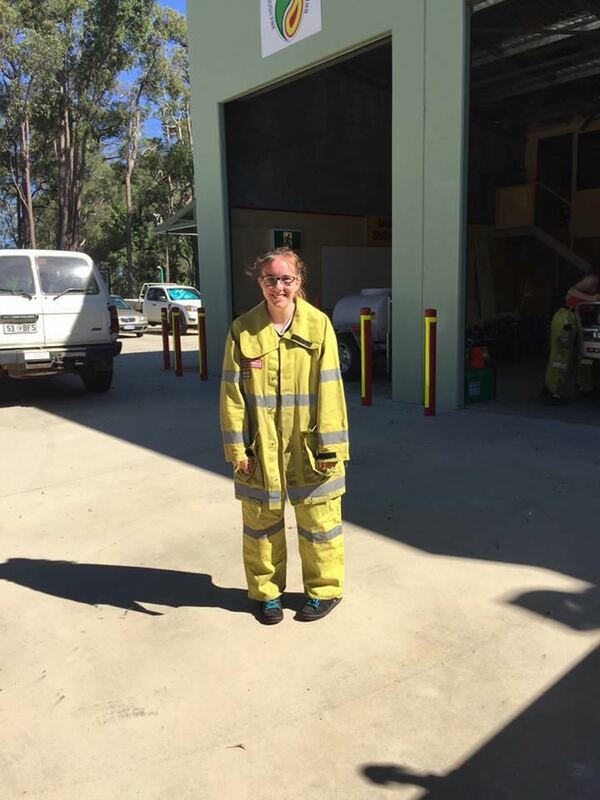 Ziana has also joined the Mundaring VFRS Cadets, so we know she will soon be more knowledgeable than us! They do a great job there, so if you have a teen 13 to 16 who wants to do some volunteer work in a great team, get in touch. Training this month has been very varied. This is Andrew crewleading the team of Mirline and Andy, who are putting out a fire in an industrial area (the station in reality). Question: How many fireys does it take to fix a troublesome rolladoor? This past weekend we attended two fire call-outs in one day. 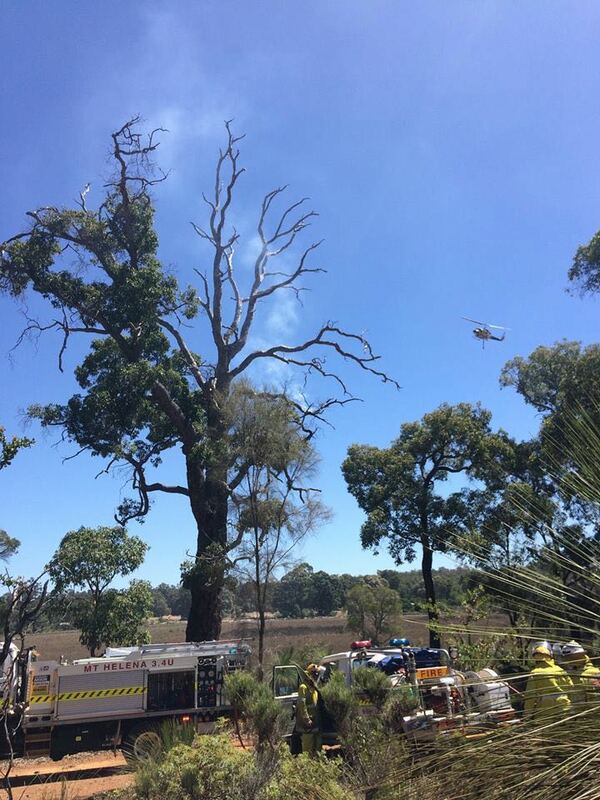 The first was to a bushfire in Beechina. The helitacs were in welcome attendance, even when one managed to overspray our 1.4 crew. In 40C heat, it was not entirely unwelcome. 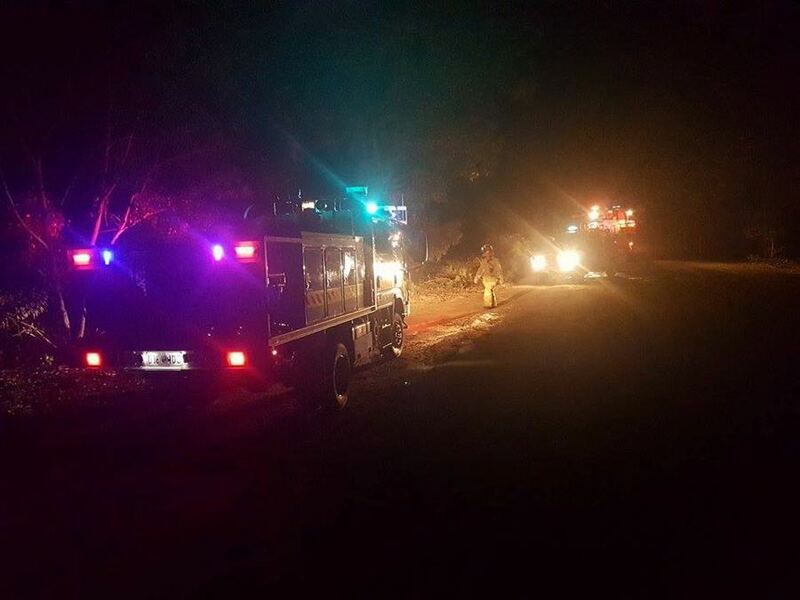 The second call that day was to a bus on fire near the Mundaring Weir Hotel, which was fortunately out on our arrival. Great work to our little brigade to turn out teams for both events on such a hot day. 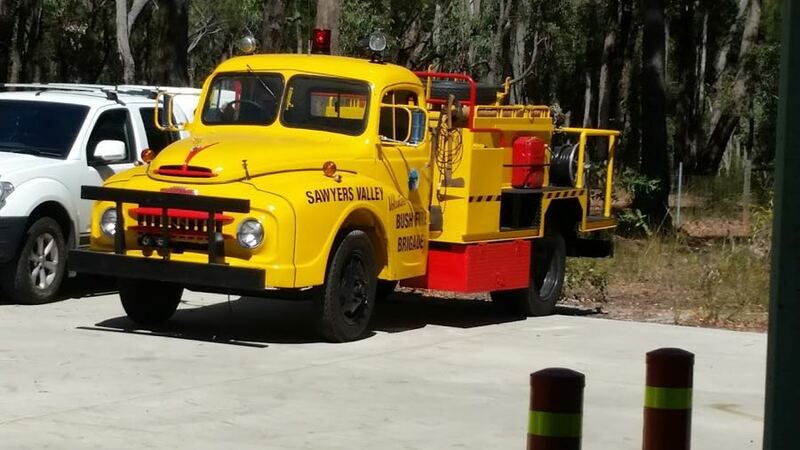 Next month we have the fun and socialising of the Shire's Firey's Picnic and Tug-O-War. We haven't started training yet, and we promise that's not why we recruited our new BFG, Ben, but we will surely be glad of him on the night! 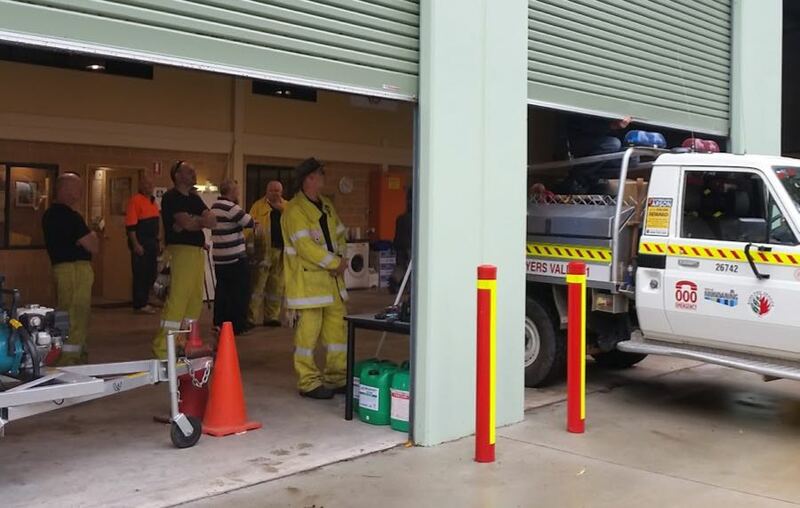 If you've ever thought of joining, now is a great time, because training at Mundaring Fire School will be starting next month and you will be sure to be fully trained and kitted out ready for next year's fire season. Come in one Saturday morning. We are welcoming and friendly and will be very happy to meet you! You will learn a lot, achieve a lot, and do so in the company of a great bunch of people! 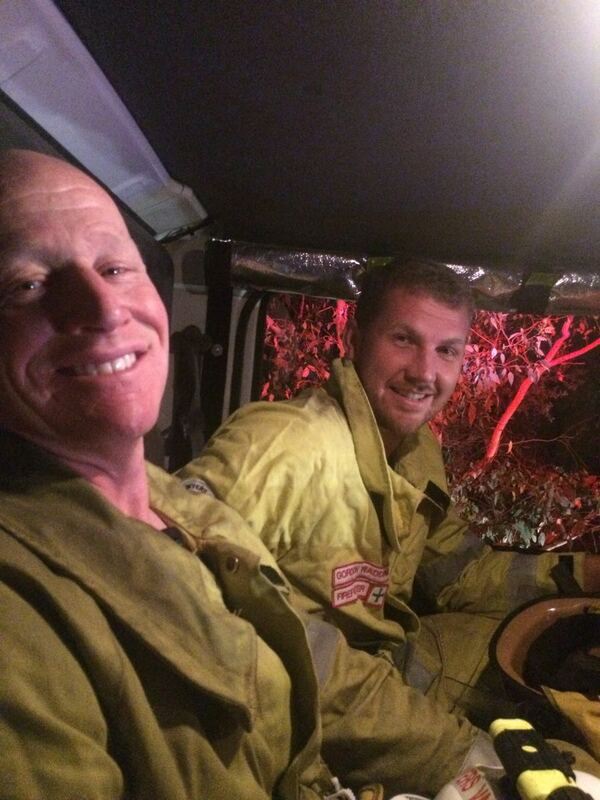 Andy and Angus, still smiling after a job well done on the fireground. 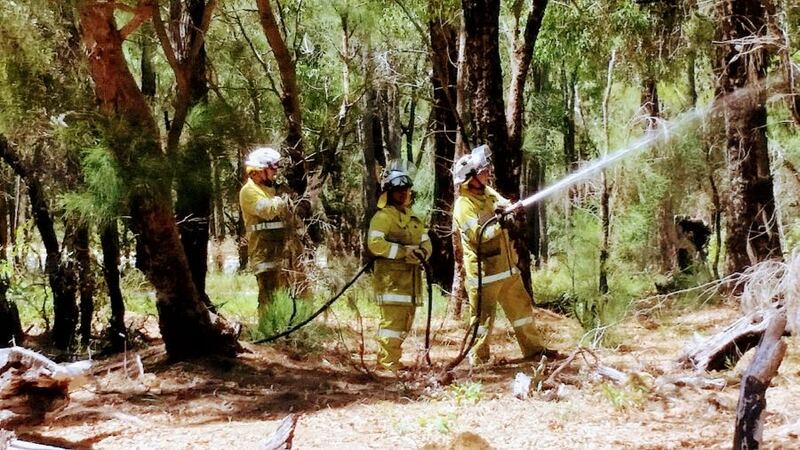 Fantastic photos this month were taken by Mundaring VFRS, Michelle, Jenny, Tina, Gogs and Andrew.